It’s absolutely never about ‘health’. It’s always about ‘safety’. ‘Health & Safety’ is the catch-all term for everything that could possibly go wrong in the workplace. 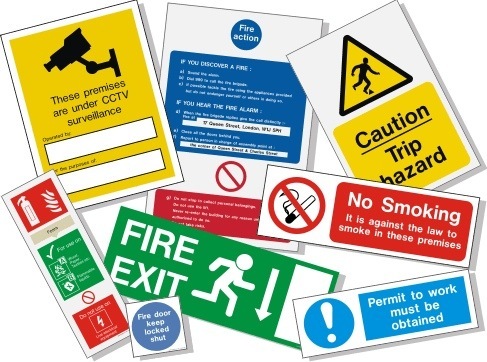 It obviously springs from the legislation and executive of the same name – but in practice, the instances of the ‘health’ bits of Health & Safety are non-existent. It’s always just ‘safety’. You can’t leave that there. Well no. “It” isn’t “health and safety” at all. It isn’t “health” or “safety” either. It is, most likely, just a possible risk in relation to people’s safety. More specifically, “it is a breach of health and safety regulations, but only those regulations which are specifically in relation to public safety.” Admittedly that’s a bit of a mouthful. A whole industry exists around Health and Safety. Companies whose sole, life-sapping purpose is to produce workshops and ‘learning materials’ covering topics such as ‘how to not block a fire exit with the sort of mountain of paper files that no longer exists anywhere’. It’s a thrilling half day in anyone’s working life. Who can tell me what the risks are in this scenario? That’s right. They might trip over that extension lead, hurtle headlong through that plate glass window thereby severing a major artery, knock those computer monitors into those fish tanks, electrocuting their colleagues and presenting a fire risk. Countless corporate videos have seen struggling Lycra-clad ‘comedy’ actors demonstrating hilariously-exaggerated health and safety scenarios played out in the workplace, teaching vital subjects such as ‘how to lift a box’, like a sort of corporate Laurel & Hardy but an awful lot less funny even than that. And who hasn’t spent a fun, interactive, afternoon in front of a PC doing a wearisome Health & Safety “quiz”, the failure of which can only be achieved by deliberately choosing the least likely answer? I sat through a three year degree course and you’re asking me multiple choice questions about fire exits? Health is about disease. Hospitalisation. Germs. Viruses. Colds. Communicable unpleasantness. Pregnancy. Infection. Ebola. MRSA. Immune systems. Fluids. Rot. Frightful sordidness. Nobody bothers about these. Except in hospitals, hopefully. Safety is about falling off things. Tripping down stairs. Having a pot of paint fall on your head when you walk under a ladder. Leaving a chair on a walkway or trailing an electrical cable across a stairwell. Bad backs. Ergonomics. Hot water. Coffee lids. Electrocution. Irradiation. Slips. Broken bones. So what are those mythical things that represent both a health and safety risk simultaneously? A bucket of anthrax spores balanced precariously over a toilet cubicle door? The biological risk worsened by the threat of concussion? A badly adjusted and positioned office chair, whose twin evils of location and ergonomics cause simultaneously a ‘trip hazard’ and a debilitating period of backpain-related sick leave? Yeah, slackers. Take an ibuprofen. In most cases, and as with most things, the appeal to health and safety can be safely dispensed with in favour of ‘common sense’. Sadly there is no legislation or government quango responsible for that, nor corporate departments dedicated to its promotion.